Thirteen Y12 students from Wath Comprehensive and Longley Park Sixth Form College recently enjoyed a four day Built Environment Summer School funded by HeppSY+ (Higher Education Progression Partnership South Yorkshire Plus). 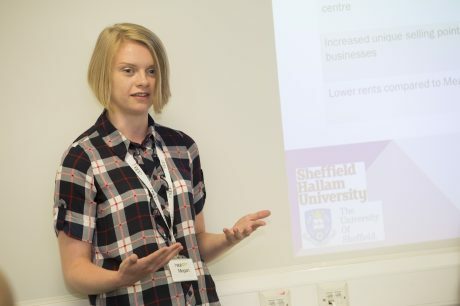 The summer school, which was designed by Bee Gan from Sheffield Hallam University’s Natural & Built Environment Department, involved a number of different activities delivered by HeppSY+, Sheffield Hallam University and the University of Sheffield, as well as businesses from the built environment sector. HeppSY+ is part of the National Collaborative Outreach Programme (NCOP) and aims to support young people identified as most at risk of missing out on higher education. The programme builds on the existing work of the Higher Education Progression Partnership (HEPP) involving Sheffield’s two universities. The summer school culminated with students presenting their projects to a panel of industry experts, many of whom commented on how impressed they were with the quality of presentations. Students were then presented with certificates for their hard work and efforts. Additionally, each evening students enjoyed evening social activities, including a walking tour of Sheffield’s popular destination – Kelham Island, meals together and a film night, allowing them to experience a taste of university social life. Commenting on the summer school Mike Garnock Jones, Director of HeppSY+ said: “This is a unique opportunity for students from across the South Yorkshire region to gain an insight into the various career opportunities within the construction and built environment industries. 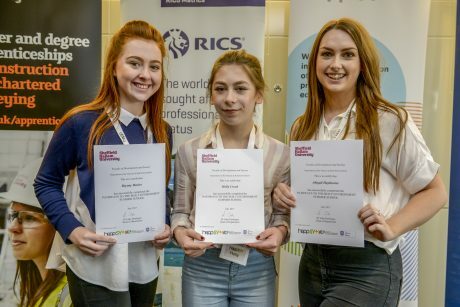 Taking part in interactive workshops and presenting to leading employers will provide students with an invaluable experience to include on their university application forms next year and help them make an informed choice”. Seetal Jassal, Widening Participation and Outreach Coordinator at the University of Sheffield, said: “The summer school has been a really fantastic example of how two universities can come together to benefit young people in South Yorkshire and beyond and to support them in making an informed decision about their higher education”.